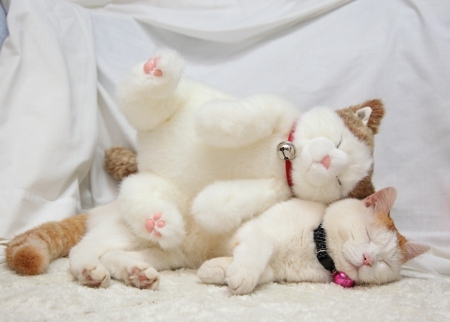 Shironeko, the Japanese cat who is more Zen than a Buddhist monk, has had a plush Zen cat doll made in his likeness... Which of the two lies asleep in this basket? 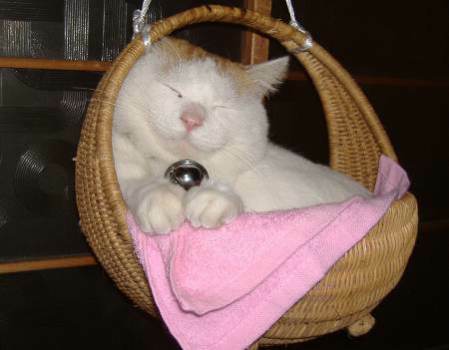 Shiro has his own blog, and is known internationally from his stardom in cat books, cat commercials and You Tube videos, where he is often featured as the 'Basket Cat,' in a basket, or with a basket or bowl on his head. 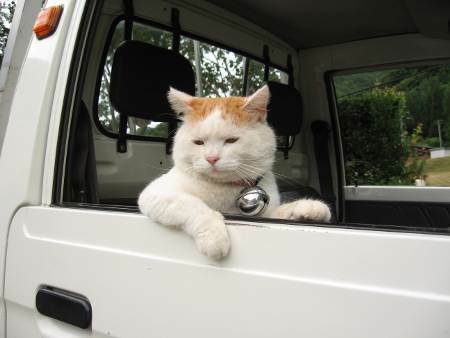 He wears sunglasses, hangs out the side of a vehicle like a trucker in summer... 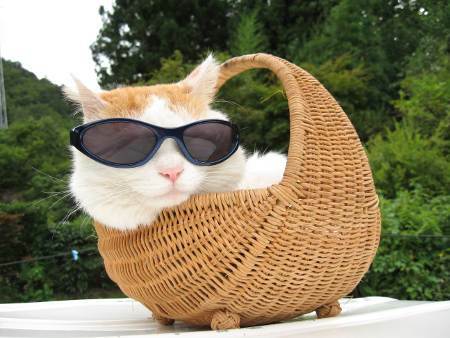 There are not many resting postures that this cat won't take! 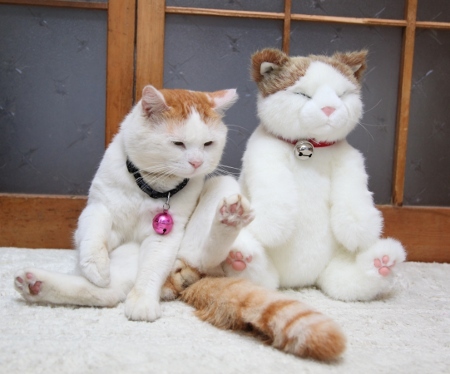 So, it is fitting that the famous Shironeko have a doll made in his likeness; I'm sure the cat doll will sell quite well, judging from the success of his namesake. 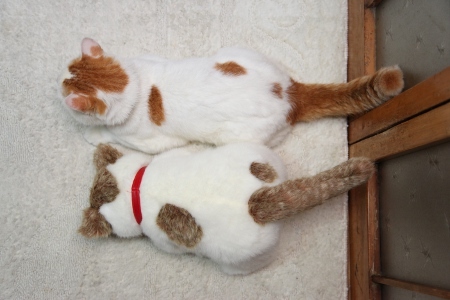 Let us know if you find the Shironeko doll for sale anywhere and we'll post it.